Your pets are released for home care as soon as possible – however, they can stay in for after care when preferred or indicated. Our concept includes continuous education in conventional as well as complementary veterinary medicine, exchange of recent information with national and international colleagues and investments on new technologies and treatment regimens (see also: “How do we work?). 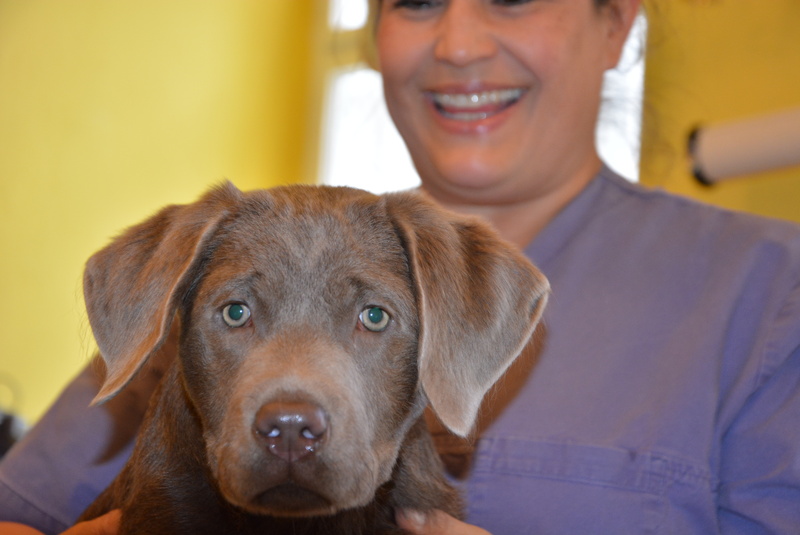 Along with a friendly atmosphere, pets and people may feel at ease and accepted in our practice. Sick and/or anxious animals may use our back entrance in order to avoid stressful meetings with other animals while entering or leaving the site. The practice has been designed almost free of barrieres and consists of a large and a small waiting room, each equipped with a library, two separate, air-conditioned examination rooms, x-ray area and a modern surgery. A room for seminars and two restrooms complete the whole facility (pictures of the practice you find in “About”). Working in pleasant ambience means a lot to us: the site at Schwarzspanierhof has been chosen deliberately and we constantly work on the interior. The free parking in the yard may save you time and money and your four-leged friends are not immediately exposed to the traffic (see also: “Where you can find us?”). We consider personal talks and professional consultancy with regards to adopting, keeping, educating and feeding animals as extremely important in preventing possible medical problems later on. A distinct variety of literature, convenience goods for pets and medical food is at your disposal in the practice. By fixing appointments we can offer comprehensive and personal talks and it helps to avoid waiting times. Should it eventually become necessary to give your pet a painless release from life – which is an extremely stressful situation for every pet owner – we offer (non-directive) information and aid in the decision making process. When euthanasia is inevitable, we will provide an appropriate ambience and adequate timeframe for it. We may also visit you at home for such a purpose so that your long-time friend does not have to leave the familiar surrounding for his or her last journey. Like many of our pet owners we are dedicated to the protection of animals and species. We are constantly housing runaway, orphaned or rescued animals and seek to find new homes for them (see also: “Why do animals need humans?“ and our blog “A new home for…”). In and outside the practice we are engaged in various programs in this field, e.g. neutering of stray animals in order to contain their population. We offer information and assistance, when people sometimes come across injured or ill wildlife animals in the city (hedgehogs, pigeons, songbirds, birds of prey, squirrels, hares, bats etc.). However, it is advisable to consult our vet in charge (0043-699-10481906) before collecting such an animal. Also helpful is the hotline of MA 60 (Veterinary services und animal protection) of the city of Vienna: 0043-1-4000-8060. 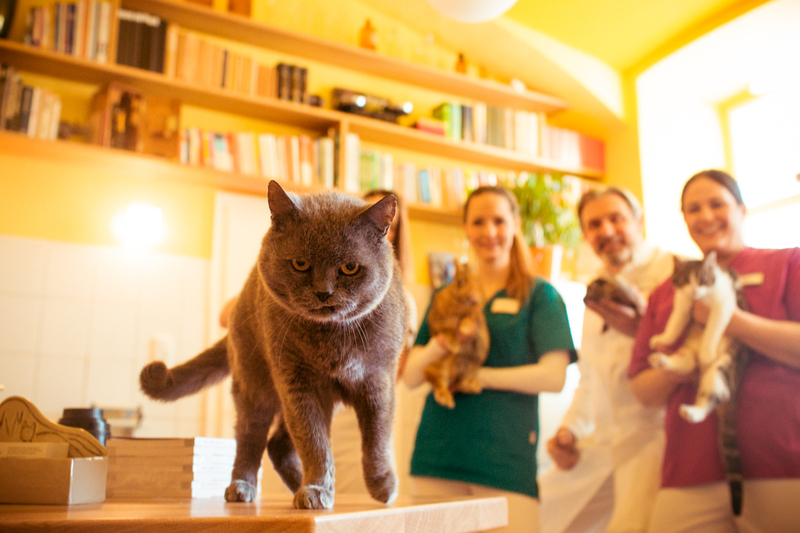 Besides our domestic initiatives in this field, there are existing cooperations of Vet Practice Schwarzspanierhof with non profit organizations and animal rights groups like “Tierhilfswerk”, “Futterbox”, “Vier Pfoten” , “SOS Katzenhilfe” and “Kaninchen-Helpline”. Last but not least, animal-assisted therapy and support is a further pillar of Vet Practice Schwarzspanierhof. We rely on a human and animal network and can thus provide benefits from pets to people with special needs even in case they cannot or do not want to take responsibility for an own pet! 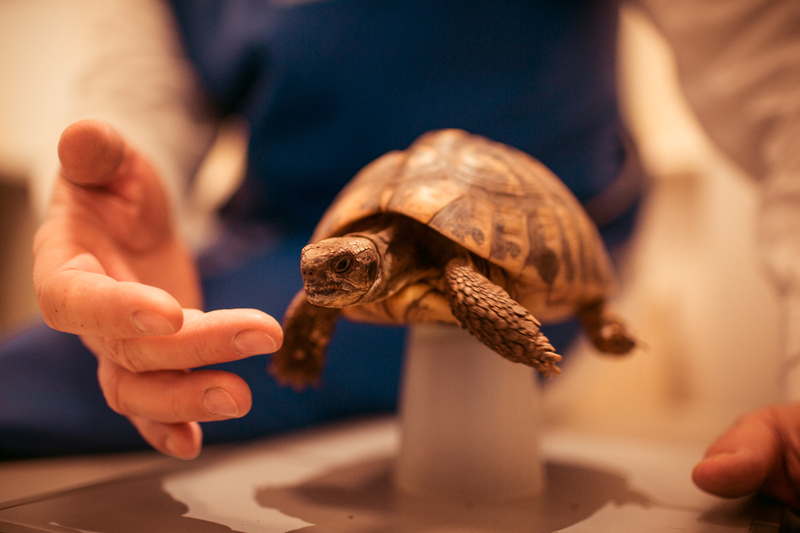 Usha Patel DVM is founder and head of the non-profit organization “Tierwunderwerk” (“animal-wonder-work”) and looks after clients along with dogs, cats, rabbits, guinea pigs, tortoises and horses. “Rent a Cat” is just one of several projects that have emerged from this work (see also: “Why humans need animals …?”).